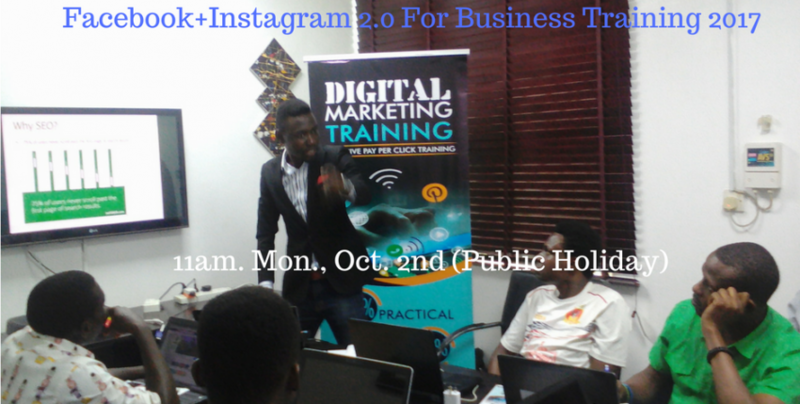 FREE TRAINING, PPC.ng is 2yrs as such, @PPC.ng wishes to give back to the society and increase capacity. With over 2 billion internet users, Facebook captures 10 percent of all internet visits with each visitor spending an average of 28 minutes on the site. -Increase your profit by 200%??? 1. Facebook & Instagram Ads. Venue: Sparklesoft Solution Ltd. 1 Omotayo Ojo, by Majekodunmi, off Oshopey B/s, Allen Avenue, Ikeja Lagos. I saw you tweeting about money and I thought I’d check out your website. I really like it. Looks like Adefimilola Tosin o. has come a long way! If youre looking for JvZoo products for FREE you will love my website… Trust me! Its the heaven for any website owner!! Want To Learn Digital Marketing? 27 Google Adwords Terms You Need To Know! Copyright 2018 PPC.ng , PayPerClick Marketing Digitals. All Rights Reserved.